The Alabama Men’s Hall of Fame seeks nominations for its 2016 induction class. Nomination deadline is March 15. The hall of fame recognizes men who are native to or identified closely with the state, and who have made significant contributions on a state, national or international scale. Established by the state of Alabama in 1987, it is housed in Harwell G. Davis Library at Samford University in Birmingham. All nominees must have been deceased for at least two years. At present, 73 men have been inducted into the hall of fame or its predecessor prior to 1987, the Alabama Hall of Fame. Inductees include Wynton Malcom “Red” Blount, George Washington Carver, Braxton Bragg Comer, Martin Luther King Jr., Raphael Semmes, Wernher Von Braun and Joseph Wheeler. The most recent honoree was former Alabama Congressman Albert Rains in 2015. 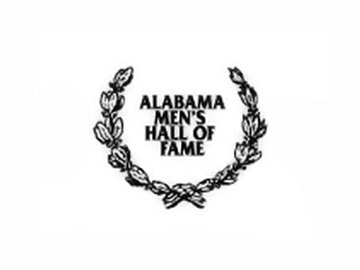 A nomination form and a list of all current members can be found on the Alabama Men’s Hall of Fame website. All nominations will be reviewed by a selection committee designated by the hall of fame board. The committee’s recommendations and a list of all nominees will be submitted to the full board for a final vote. This year’s ceremony and luncheon will be in Birmingham on Tuesday, Sept. 20, 2016. Nominations must be postmarked no later than March 15 and sent to Alabama Men’s Hall of Fame, P.O. Box 292307, Samford University, Birmingham, AL 35229. For more information, contact the board’s executive secretary, Annette Green, at 205-492-3936.